Several programs are available for builders desiring official certification of energy efficient design and construction, such as EarthCraft House and ENERGY STAR certified homes. EarthCraft House is a creation of Southface Energy Institute. In South Carolina EarthCraft is promoted through a partnership among the Energy Office, Trident Home Builders Association, the Greenville Home Builders Association, and others. The Energy Office promotes energy efficient design through the national Leadership in Energy and Environmental Design (LEED) program, developed by the US Green Building Council (USGBC). The Energy Office helped to establish the South Carolina Chapter of the US Green Building Council and maintains a membership in the national USGBC on behalf of the state. 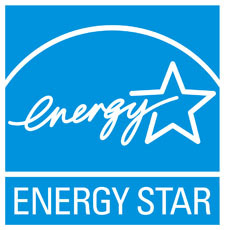 ENERGY STAR qualified homes are at least 15 percent more energy efficient then homes built to the 2006 International Energy Conservation Code. The Green Building Initiative's Green Globes Program also facilitates third party certification of energy efficient homes, and is the basis for the Columbia Association of Homebuilder's green building program.